Palmetto – Rev. 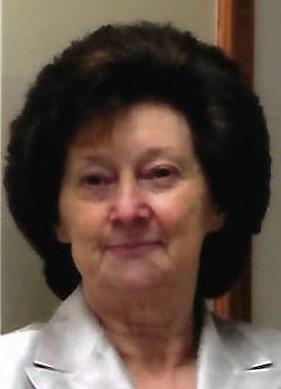 Margaret Edith Foster Sutterfield, 77, went to be with her Lord and Savior, April 1, 2019, at North MS Medical Center. Margaret was born February 6, 1942 in West Plains, MO, to Alva and Elma Foster. She was married to her husband, Clifford Velt Sutterfield for 60 years. They had 5 children, Cheryl Nickell (Nelson) of Tupelo, Rene Pennington (Bryan) of Tupelo, Velta Lovil, Terence Sutterfield (Tanya) of Tupelo, Tina Holland (Jamey) of Fostoria, Ohio. She had 12 grandchildren, and 4 great-grandchildren. Margaret was the pastor of Harvest Time Assembly of God. A celebration of her life will be at 2 PM, Saturday, April 6, 2019, in the Tupelo Chapel of Holland Funeral Directors with Rev. Carman Foster and Rev. Loy Sutterfield officiating. A graveside service will follow at Tupelo Memorial Park. Visitation will be Friday from 6 PM – 9 PM and Saturday from 12 noon - service time. Holland Funeral Directors, Tupelo Chapel is entrusted with arrangements. Condolences to the family may be posted at www.hollandfuneraldirectors.com. For those who can not attend, the services may be viewed at 2 PM, Saturday at www.hollandfuneraldirectors.com/livestreaming.